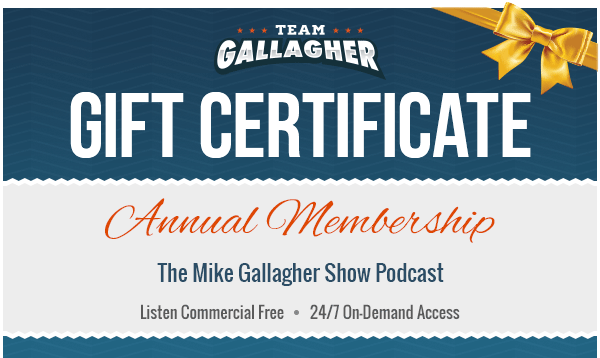 Give the gift of The Mike Gallagher Show Podcast to friends and loved ones by purchasing a Team Gallagher gift certificate. These annual membership certificates make great gifts for all occasions. If you have questions about purchasing a gift certificate please contact customer support.